This year I've been focusing a lot on clearing out the old. I'm decorating and rearranging my room, changing up my blog a little, getting new projects planned in my head. But I'm also taking some time to reflect. I do have a bit of routine that I stick to, things I like to do. And this time I'm sharing some of them. Nothing can beat a ritual bath, and this is mine. It's one I do whenever I'm a bit stressed or need some inspiration, and I love it for new starts too. I spend a good hour or so, sometimes more, just chilling with some rain sounds and some candles. Our boiler broke down on Monday so I'm actually doing this at my fiance's house this year. Mix the salt, dried lavender, and crystal in a jar and leave them to infuse for a few hours. Put it all in an empty bath under the taps, crush the fresh lavender in your hands to release the oils them place on top. Light the candles, set a rain sounds playlist going if it's not raining outside, and run the bath. The salts will dissolve in the running water, and the bits of lavender float on the surface. Just make sure not to sit on the crystal when you get in the bath. I made that mistake once and ouch. I set up a to do list for the next few weeks. Nothing immediate or pressing, just stuff I'd like to do for me and my own well being. I think it's especially important when the days get shorter to remember to take care of yourself. I do a three card spread for the coming months and spend an hour or so with the cards I've drawn, thinking about what they mean to me and how I can interpret them in positive ways, even if I get a scary card like the eight of swords which came up in every draw in July and August. I love stories filled with magic. I love the possibilities that open up, the power imbalances, the easy (or are they) fixes to problems. Faith, hope, learning, magic, friendship. Magic, survival, family, love, responsibility. Magic, power, trust, secrets, betrayal. Magic, friendship, power, justice, secrets. Magic, mystery, poison, realism, AMAZING. Magic, conflict, superstition, secrets, new-world. Magic, history, power, control, danger. Ghosts, magic, power, secrets, wit. What's your favourite magical book? A fantastic story about geeky passions and love, the pressure of fame, and the expectations against which you are judged. 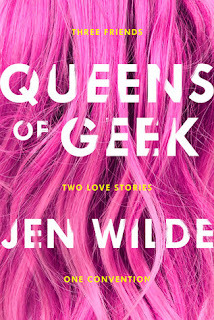 I read Queens of Geek by Jen Wilde in the run up to YALC earlier this year, and it made me so excited and buzzing with happiness. Taylor likes to blend in. Her brain is wired differently, making her fear change. And there’s one thing in her life she knows will never change: her friendship with her best guy friend Jamie — no matter how much she may secretly want it to. But when she hears about a fan contest for her favorite fandom, she starts to rethink her rules on playing it safe. 5 Words: Fandom, anxiety, friendship, belonging, fame. That was so cute. Queens of Geek is a bit of a slice of life where nothing really happens, but it was so damn lovely to read. It gave me the warm fuzzies and make me giddy with happiness. I love Charlie and her self belief. I love Taylor and her insecurities. And I love their friendship. As much as Queens of Geek has a good (warm fuzzy) dose of Romance, the story itself mostly focuses on friendship. It's a gorgeous exploration of what makes friends friends, and the joy of sharing your passions and love with them. The story looked at the insecurities of the relationships too, the wonder if there's something more and if the friendship is worth risking. This is a rather short book, less than 300 pages, but it packs a punch. It's a quick read, driven by the passion of the characters - whether for each other or for their shared geekiness and con experiences. This is a pretty empowering book, and a delight to read. Also, F/F! Friends. Stop. Hanging. Out. That’s what really scares me. I read A Christmas Gift wrapped up warm in a blanket, with a glass of red wine and a slice of chocolate cake. 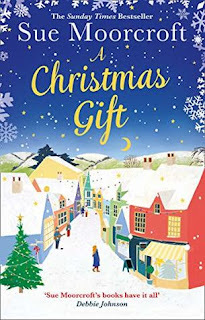 It's a pretty sumptuous festive read, bursting with the joy of community and family and love. It's a gorgeous read for the run up to the festive season. 5 Words: Community, family, Christmas, secrets, love. This was such a gorgeous story, and perfect for the run up to Christmas. I found it a pretty quick read as I did not want to put it down. I quickly got invested in Georgine's story, and that of her family. I think I was more invested in the sister-drama between Georgine and Blair. That's not to say that the romance in this story isn't excellent, it's so heartwarming and sweet. I just love me some family drama. One of my favourite things about this was the assumptions that the characters made based on perceived wealth. It's such a human thing to do, to judge people on how much money you think they have and see that as a measure of their success, and I loved how this book pretty much ripped in to it. Your success is not measured by your wealth. Money does not equate to happiness (even if it does make life easier). A Christmas Gift has a wonderful sense of community, and I loved how everyone rallied together and supported each other. The circumstances of the characters really hit me hard, and I think that anyone who hasn't had quite enough to make ends meet will probably shed a tear reading it. This was an excellent festive read, perfect for keeping you warm on cold evenings. It is not overly festive, but it did get me very excited for winter. I love reading seasonal books. Romance in February for Valentines Day, coming of age summer holiday stories during August, Horror nearing Halloween, and everything festive in the sun up to Christmas. 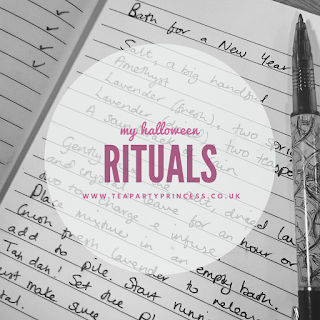 Today I'm sharing my top five creepy Halloween reads. And all of these were five star for me. When I read this book it went straight on my all time favourite shelf. It's a fantastic blend of contemporary teen drama, supernatural horror, and historical betrayal. Think Skins in a haunted manor. This book is so creepy! Everything from the setting to the characters, even the weather is full of the creep factor. It's not one to read when it's snowing unless you really want to be terrified, and I love the subtle environmental message behind it. Gosh this book. It's probably the most well known on this list thanks to it being featured in the Zoella Book Club, and it's an excellent read. It's creepy and really gets in your head, and makes you think. Also Frozen Charlotte dolls are the creepiest things ever. What is a monster? This book explores what makes a monster, and I love it. It's set in a boarding school over Christmas and really used the isolation of the circumstanced to build the tension and fear factor. It's one to read wrapped up warm. Nope. No more mirrors for me after reading this book. It takes a popular (and scary) urban legend and puts a boarding school twist on it. I love everything about this book and it creeps me out so much. And also makes me afraid to look in mirrors for around a month after reading. The Wildest Dreams book box starts at just £18 a month, and it's a little box of self care containing a newly released YA book, a bath/body/home product, and a bookish tea. There's always a little extra surprise in there too, which is a fantastic personal touch. There are only around five November boxes left so if you want to experience the joy of the Love Triangles theme then run now and get one. I think this is one of my favourite Wildest Dreams boxes ever! 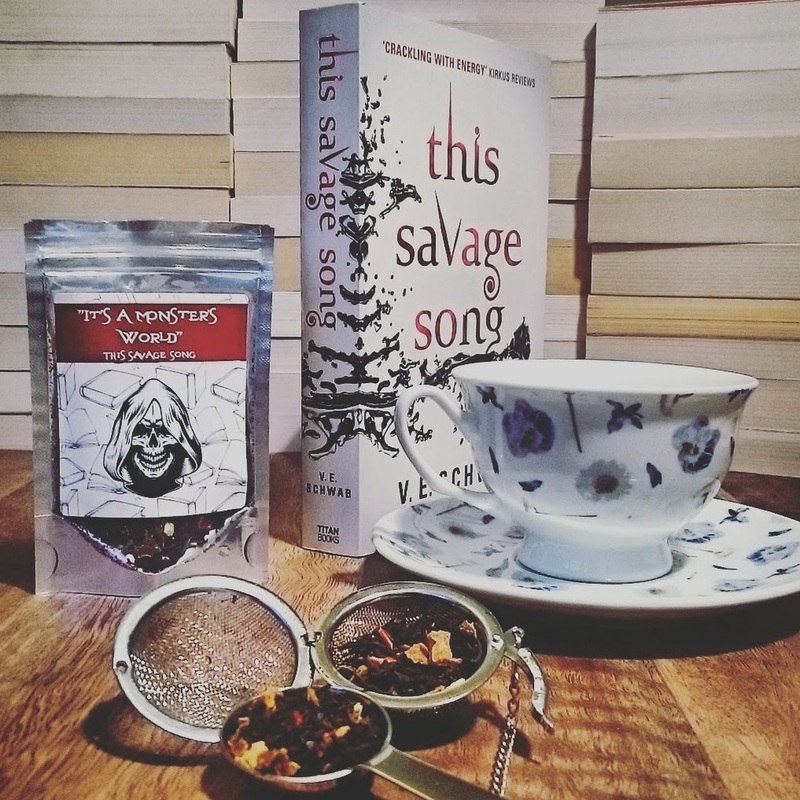 I think my favourite thing was the "It's A Monster's World" This Savage Song inspired tea. And yes, I am predictable, I love my tea. I've actually already repurchased this tea from Rosie Lea Tea, the Caramelised Pumpkin blend, because I loved it that much. It's the perfect blend for autumn. I manged to get two brews from the leaves each time, the first was rich and smoky and vibrant, and the second brew was much more mellow but with a slightly sweeter note. 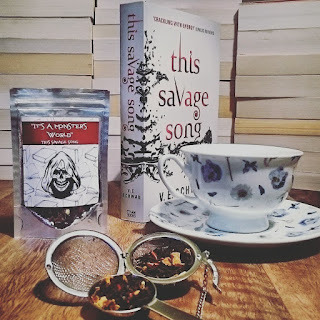 This tea also prompted me to pick up This Savage Song, which is full of monsters and a perfect Halloween read. The Boneless Mercies by April Genevieve Tucholke is amazing and spooky and gripping, and the foiled cover is stunning. I actually picked the book up straight away and started reading it before I'd even made myself a cuppa. It's dark and atmospheric, but my goodness did it make me hungry! And did I mention a soft Hufflepuff assassin? The "Diary of a Vampire" Bathbomb is one I'm already familiar with. Pretty Suds are one of my go-to bathbomb companies and Diary of a Vampire is my second favourite bathbomb from them. It's so dramatic when you put it in water, and it leaves the water black and your skin silky soft. I was actually really excited about the bonus The Extinction Trials bookmark, because I absolutely love that series. It was a fantastic extra. 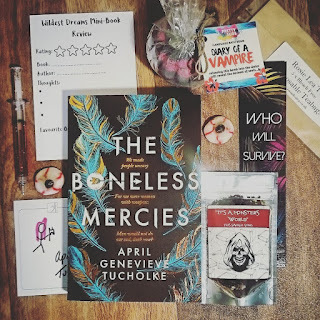 I absolutely loved the Halloween-y box, with its creepy feminist book and amazing treats. Self care for witchy times. To Kill A Kingdom is fabulously dark and perfect for this time of year. This Little Mermaid retelling really twists the tale and makes it even darker. It's a bit gory, very dark, and a gripping read. 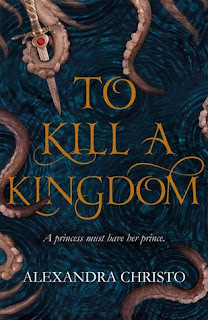 5 Words: Sirens, pirates, princes, power, family. I think my favourite thing about this book was the brutality. The siren's are violent, and Lira perhaps the most violent of all. It is a dark book, filled with death. I loved the pace. I struggled to put this book down and I loved the story. I wasn't such a fan of Elian. I'm not sure what it was about him, but nah. I didn't like him. Honestly though, Lira. I loved her. I loved her conviction, her scheming, her strength, her sense of purpose. She is a hard character, and I loved that about her. At times I wanted to skip Elian's chapters to read more from her. I did struggle with the descriptions. They weren't clear enough for me to picture the sirens or the mermaids or even the places. I think this is probably down to the length of the book - there just isn't space for more description. Which is a shame, because I am a huge fun of description and would rather too much than too little. I know that people who are all about the action will love it though. I'd recommend this to anyone looking for a dark re-imagining of The Little Mermaid, who isn't a fan of a huge amount of description. It's fast paced and packed with action. The Villains Award Tag was created by Cait at Paper Fury, and when I saw her post I couldn't help but join in. It's that time of year after all, and I love me a villain. They can make or break a story, and are often the most complex characters. Villain You Absolutely DESPISE And HATE. This is easily Dolores Umbridge from Harry Potter. I actually talk a lot about how she's low-key one of my favourite characters in the series because of how villainous she is, especially as she seems so normal. She's the hero of her story, she truly believes she is doing right but my gosh, she is so wrong. Xifeng from Forest of a Thousand Lanterns is hypnotising and I am well under her spell. I don't actually see her as a villain. Xifeng is my queen and I'm her follower, thanks. I know you're not supposed to like her, but I love her. Basically any story ever! I love seeing things from the "dark side". I guess I'd love to most see everything in the Grishaverse from the Darkling's perspective, to see how power changed and corrupted him. Guma from Forest of a Thousand Lanterns is kind of more a terrible parent figure than a parent as such, but what she does is honestly pretty awful. It's her ambitions that actually set everything in motion. I'm definitely going to go with Orelia from Light Years for this. She's not necessarily bad, she's just doing what she thinks is right, and I love the fact that she learns from it and her beliefs and preconceptions are changed. Mila from Undead Girl Gang, she's basically an accidental villain to a lot of people around her, but only because she's trying to find some good from such horrific events. Cardan from The Cruel Prince - although by the time I finished The Cruel Prince I wasn't so sure he was even a villain any more. So yeah, not necessarily pure evil, especially compared to the rest of his family. Which one was the Cruel Prince anyway? The trees in Fir. Yep, the trees. And probably also the snow. I mean, all of the nature in Fir has a distinctly sinister twist to it and it's excellent. Stop cutting down trees, pick up your litter, take care of the earth. Raiden from Smoke in the Sun. In the first book he was awful, but the second book? Well I warmed enough that I was shipping Markio and Raiden, so lets pretend that the epilogue doesn't exist. Silyen from Gilded Cage. Ish. He's still a prick but OH MY GOODNESS his arc throughout the series? Incredible. What you first see of him, at the beginning of Gilded Cage, is completely different to what you see of him in Bright Ruin. Now, I love a good villain. I can't get enough of them. For me they can make or break a book, completely change a story. For this list I'm looking at my favourite villains, anti-heros, and morally grey characters. I love the ones who start off as evil and slowly become good, the ones who start off good and slowly become evil. I love complicated and full of conviction. My dark, corrupted queen. I just have all of the love for Xifeng. She's an incredible character on an incredible journey. Is there a better villain out there? Honestly, I think she's even a better villain than Voldemort because she is so sure that she is the hero of her own story. She's so despicable but she thinks she's right. She's so chilling because kittens and pink. He's so dramatic. Dark and manipulative and power hungry, and straight up bad to be honest. I quite specifically prefer Raiden in the second book. He may be evil, but even he has limits and morals because really he's soft at heart. I shipped him and Mariko so bad and thought it would have been an amazing enemies to lovers arc (if only). GUYS HAVE YOU READ THIS SERIES YET? Oh man, I absolutely love Silyen. I love how he's evil but also self aware and strangely soft? How can a villain be all that at once? I love how she just rips out hearts, OK? It's a mood. Basically, without Serena there wouldn't be a story. She's self-aware, she knows she's bad, and she pretty much revels in it. *fans self* gosh I swear Akkarin was my first proper fictional crush. I love how all is not as it seems with the High Lord of the Magicians' Guild. Is she mad or is she a murderer? Does she wield wild, dark powers? Or is it all a coincidence? I absolutely loved Ruth in The Corset, her narrative was my favourite. 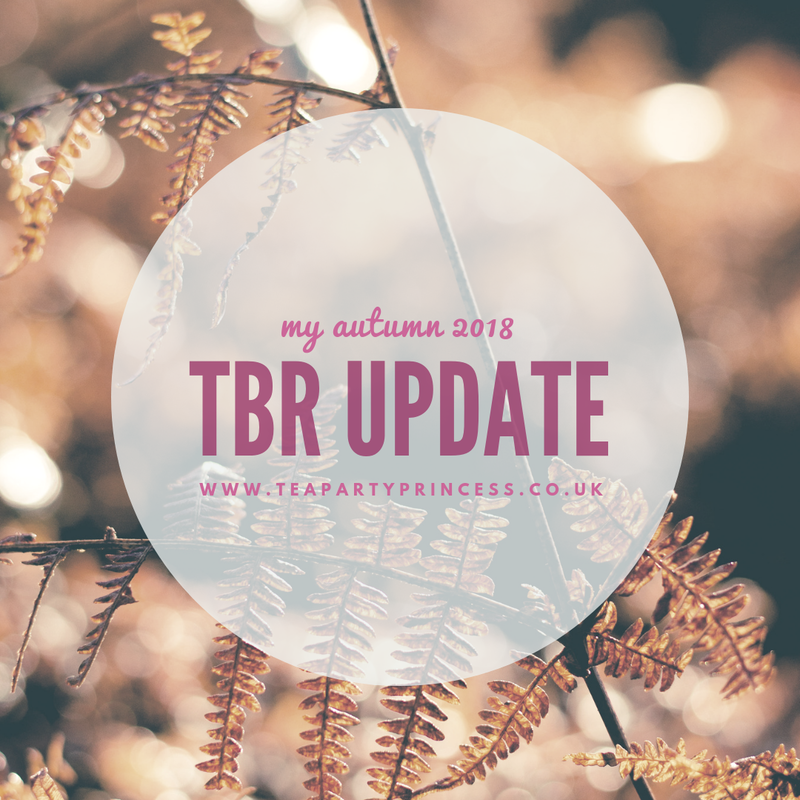 A little over a month ago I shared my Autumn TBR, and today I'm looking back to see how many I've managed to tick off. Now I'm not going to lie, I am terrible at sticking to TBRs. Awful at it. But I managed to smash my ARC August TBR so I was hopeful. Only Autumn hasn't been what I expected so far, I have been so busy it's unreal and had little time for reading. 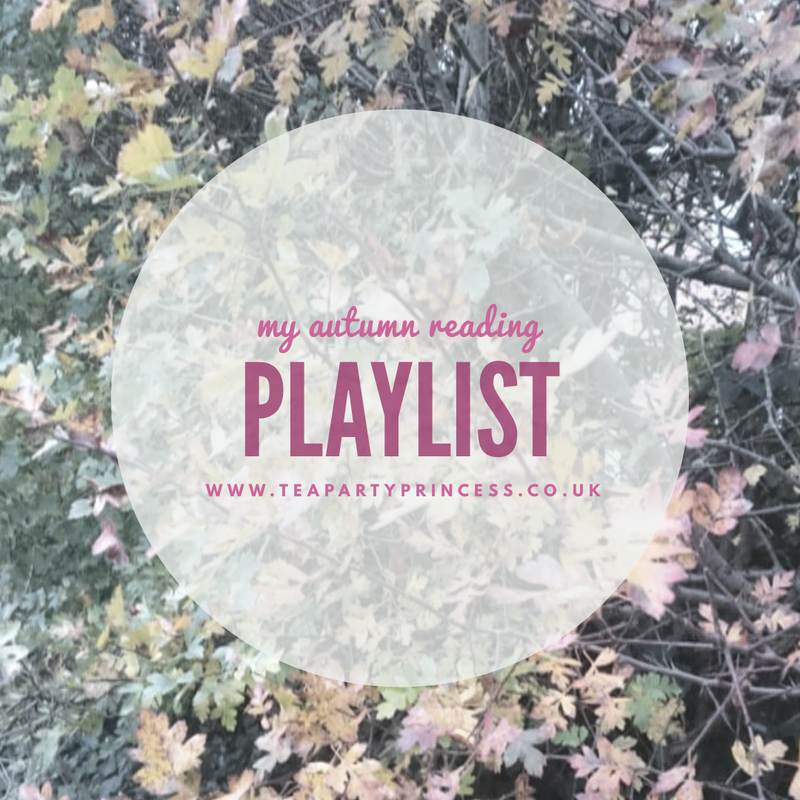 I've been re-listening to audiobooks for the more part, so my shiny new Autumn TBR has been neglected. Out of the ten books I laid out, convinced I'd manage to read... I have managed one. I still have nine to go. So wish me extra luck, as I have some cramming to do. This was honestly excellent and perfect to read at this time of year. 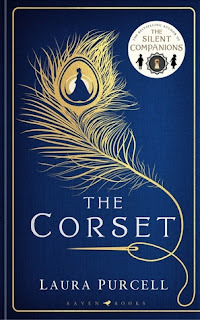 Full of creepy Victorian Gothic thrill and darkness, I would absolutely recommend it, just be wary of the content warnings for child abuse, difficult pregnancy, and graphic violence. Also it's pretty graphic. How's your Autumn Reading going? 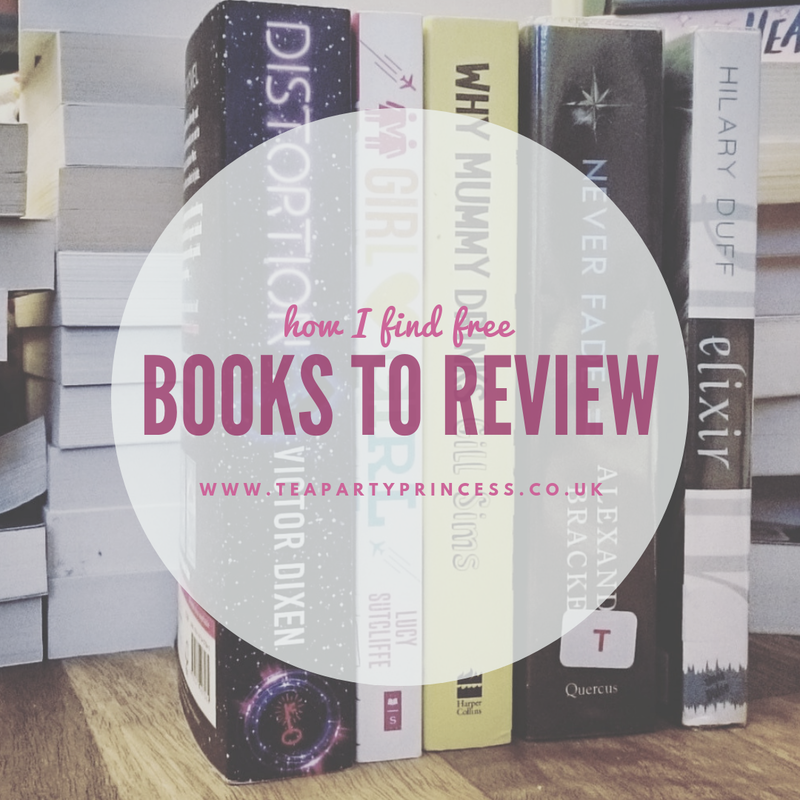 Which book from my TBR should I pick up next? Today I am joining in with Steph from A Little But A Lot's Six for Sunday! Today's prompt is books I want to reread, and as I love Rereading Books I decided to narrow it down to the six books I want to reread before the end of the year. I usually reread this every summer, but this year I wanted to save it for closer to Halloween, to really up the spookiness. It's one of my all time favourites. I am itching to reread this series! It's been a few years since I first read the series and I figure now is the perfect time to jump back in and experience it all again and get ready for King of Scars. This is one of my favourite festive reads and I reread it every December. This year will be no exception and I can't wait to go back to Snow Crystal. I reread this every Christmas and I absolutely love it. It's a classic children's story with a touch of the magic of Christmas and a huge amount of feminist thinking. With Fated coming out next year, I want to just experience it all again. Slated is one of my favourite series and one I recommend a lot. This series is just everything, and it's been a while since my last reread. I can't wait to get sucked back in to Alexia's wild world of vampires and werewolves, oh my. Which books do you want to reread? 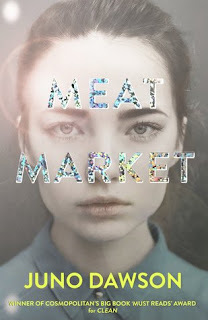 This was an excellent YA dystopia that ticked all of the boxes and kept me gripped in. It's easy to read and difficult to put down. A fantastic story of control and rebellion that I would absolutely recommend. 5 Words: Control, family, society, rebellion, escape. I thought that this was excellent and I absolutely loved it! It reminded me a little of Slated by Teri Terry. It is a standalone, and although I would actually love to read more I'm happy with that. 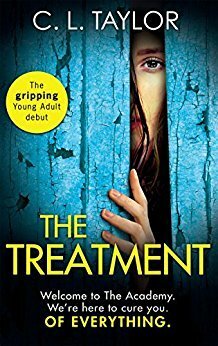 I listened to this on audiobook and I thought that Georgia Maguire did an outstanding job. She is engaging and perfect for the voice of Drew. One of my favourite dystopia tropes is control the teens, it has such huge scope and is so scarily conceivable in even today's society. And the conditioning in The Treatment was scary in its believability. The story is fast paced, and very much driven by the conviction and desperation of the main character, Drew. The writing style makes it very easy to get caught up in what's going on, to have your heart racing along with the characters. This was a great dive into YA for the author, who typically writes (excellent) adult thrillers. I was not disappointed and would definitely recommend. Last night we got our glad rags on and headed to Newcastle's Theatre Royal on our annual trip to the ballet. 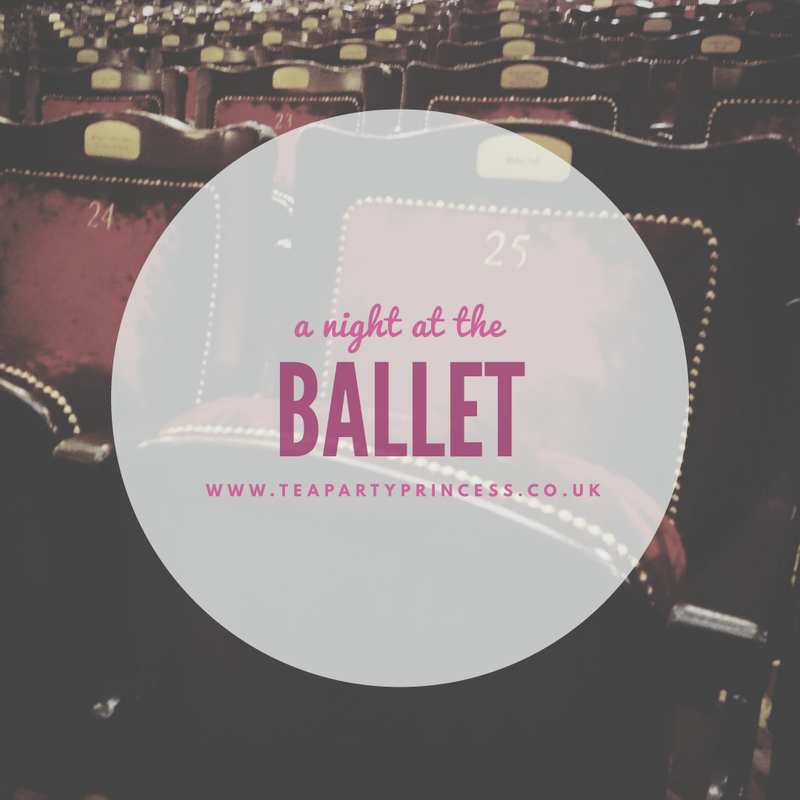 We have always been immensely entertained by Northern Ballet's performances, last year The Little Mermaid had us entranced, and The Three Musketeers was no exception. I had managed to get us some pretty good seats (Row A in the Grand Circle anyone? Expensive but worth it) and I'd had a look at some of the rehearsal videos (absolutely follow Northern Ballet's Twitter they're always posting amazing videos) so excitement and expectations were high. Being us, we were running a little late, but we made it in time after inhaling our pre-theatre meal (Lola Jeans, would not recommend) and even managed to order our interval drinks. The bar staff even very kindly reserved us a table for the interval. The atmosphere was amazing. The performance was so funny and engaging that it was easy to get lost in the story. And the story? It was hilarious. It was a fantastic adventure, packed with action. I loved the sword fighting - it was seamlessly part of the choreography, it was intense and exciting to watch, and at times it made us laugh. The costumes were gorgeous, and the set was so lavish and clever. The Three Musketeers was an outstanding performance, gripping and sumptuous all at once, with a wicked humour throughout. It's an easy story to follow and get lost in, and filled with breathtaking action. There are plenty of tickets left for the remaining performances at The Theatre Royal before the production moves to the Sheffield Lyceum Theatre and then Canterbury Marlowe Theatre and I would 100% recommend going along. Read more about My Theatrical Experiences. This was one of my most anticipated reads of the year after Ascension blew me away earlier this year, and I was not disappointed. Distortion again explores relationships under intense pressure and scrutiny, and examines the ugly side of reality TV. The second thrilling installment in the Phobos series, following on from Ascension by Victor Dixen. 5 Words: Friendship, survival, secrets, love, hope. I had been eagerly awaiting Distortion since I finished Ascension, so I couldn't help but jump straight in as soon as I got it. And I was absolutely not disappointed. Again we follow Léonor as the main protagonist, and Serena as the antagonist. I liked seeing both perspectives, how each side fought to keep secrets. Then we have Anthony and Harmony, who didn't get much page-time in the last book, adding a third viewpoint with mixed motivations. The writing is different in style from what I'm used to, and it takes me a while to settle in, perhaps three chapters. I'm not sure if this is a result of the translation, but it doesn't impact my enjoyment of the books and I think it actually helps me to read them faster, but the style won't be to everyone's tastes. 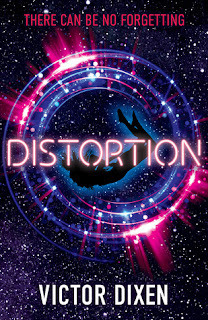 Distortion by Victor Dixen is very much a story of hope. The ending of Distortion was quite a hopeless affair, and the cliff hanger had me turning to the author's note in outrage. Although no less of a cliffhanger, this book actually gives some an aspect of hope in the ending, which I really appreciated. I loved the further scrutiny of reality TV and human greed, control and manipulation. This series is commonly referred to as Love Island in Space and although that is a fair and excellent comparison, I feel like it sells it short. Because the Phobos books are so much more. Yes, there are the intense relationships brought on by living in such close quarters, the coupling up, the cameras everywhere... But there is so much more to the story. There is drama and a fight to stay alive, secrets and subterfuge, a possible betrayal hovering ready to strike at any moment. Distortion is an addictive page-turner. The events of Ascension are covered well enough that you don't necessarily have to have read the first book to enjoy it, but I would absolutely recommend it to get the wider story. Have you read any of the Phobos books? 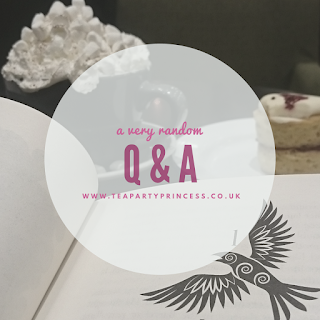 I've been thinking of doing a Q&A for a while now, but I had no idea what questions to answer. Then I remembered Jenny in Neverland's Random Questions Generator post, which I thought was a fantastic way to do a Q&A. So I typed "Random Question Generator" into Google and found this site which generates five random questions whenever you refresh the page. I am such a cliché in that Beauty and the Beast is my favourite. I can't help it, I just bloody love it. The soundtrack, the beauty of the art work, the story. All of it. It's just such a lush film. Second is Mulan, third is Sleeping Beauty, fourth is Moana. After that I'd really struggle as I generally love Disney and aside from my absolute favourites it's a case of I love them all equally. Ish. Have you ever been done karaoke? Twice. Both times while horrifically drunk haha. I'm usually a quiet wallflower, but one time on a night out me and a friend stumbled into a karaoke bar and thought "why not?" so belted out some Pink and Rihanna. I'm tone deaf so was probably awful, but I can't really remember much of it so silver linings? I've been so incredibly lucky to have never seriously hurt myself! But the worst is probably this one time I was walking through the park and all of a sudden I tripped over and was face down on the ground. I skinned all around my eye, there was grit in it, it was bleeding. Totally gross. Luckily it didn't scar! Just looked super gnarly for a week. Which do you like better, shop online or shop offline? I actually kind of hate shopping, especially for clothes. I like that offline I can try things on, and I like that online there's no forced human interaction! I think I'll go for offline, because I can see and feel and have a go. And also it's an excuse to stop off in a cafe and read for an hour. So yeah, offline shopping if it's somewhere like Primark, where the staff leave you a alone and there's a Costa Coffee on the third floor. Online shopping if it's some hellscape like Lush where the staff don't leave you alone. This is a difficult one - if I'm watching a film and I'm not enjoying it, I'm going to turn it off! One I did recently try to struggle through was Secret Life of Pets, which just wasn't doing it for me. I know it's an animated film, but the humour seemed so immature. I switched to Zootopia instead and had a blast. In terms of "so bad it's good" I'd recommend Strippers vs Werewolves to everyone who wants to have a laugh and watch a horror that isn't actually scary and doesn't take itself too seriously. So there we go, a little random Q&A. 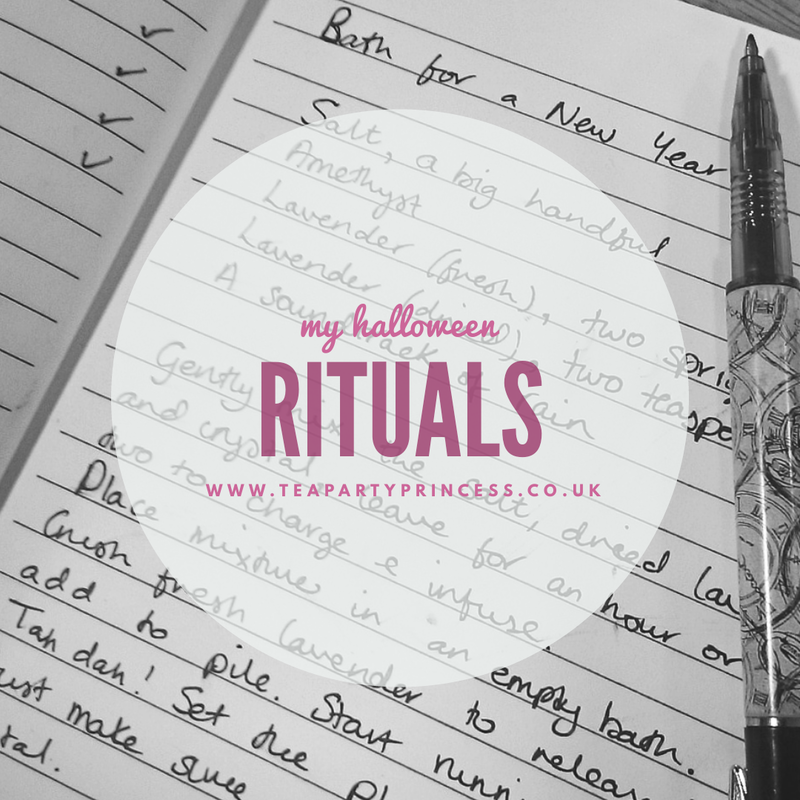 It was actually really fun and I think I might make it a regular thing on the blog, a way to share random things about myself. Would you do a random Q&A? I couldn't think of more than three for the original theme, so I'm changing it up and instead talking about some of the reasons that I love my local bookshop. Emerson Chambers in Newcastle is a gorgeous building. Art Noveau architecture, with the most whimsical roof I've ever seen on a building. The staff are all so friendly and enthusiastic, and more than happy to chat and recommend books. My favourite part of the whole shop is the basement, where the kids, YA, sci-fi and fantasy books lurk. A lot of the authors events take place down there too. This cafe does the best hot chocolate I've ever tasted, but also (more importantly) it had an excellent range of tea and a selection of delicious cakes! I love how sometimes I'll be browsing the shelves and come across a US edition, signed copies, and older title that I love. So much thought goes into the displays for the books. I think my most recent favourite was the Pride display, which lasted almost two months and was full of colour, and a little note on each with the rep.
Notebooks and planners, oh my! Waterstones has the most gorgeous selection of stationery and it's so difficult to resist. Who am I kidding, I don't resist. My local bookshop takes pride in the fact it's in Newcastle. There are local gifts, small press books, and a whole display dedicated to local crime fiction. One of my favourite things about Waterstones bookshelves is the reviews from the staff clipped on in front of the books. The staff know what they're selling and are only two happy to recommend a book that they personally loved. The personal touch is excellent. What's your favourite thing about your local bookshop? I've spent a lot of my life without money, and I know how hard it can be. Especially if you're a reader. Because books are expensive. I have vivid memories of finishing the YA section in the library at high school and thinking "what next?". Luckily the librarian had a stash of books she kept hidden away to slowly rotate stock in, and let me read a lot of those. She also gave me my first review copy and sparked my love of sharing the books I read. I know as a reader myself, when I'm looking at reviews on a blog I'm more likely to read one for a book I've already read rather than one that's not even out yet. I always find that when I'm talking about a book that's been out for longer there are more people who have read it, so more people that I can talk to it about. Honestly, don't stress about always reading the latest books. I'm lucky enough to be able to get some books occasionally from lovely publishers, but I find that well loved, well read books are often the best talking points. 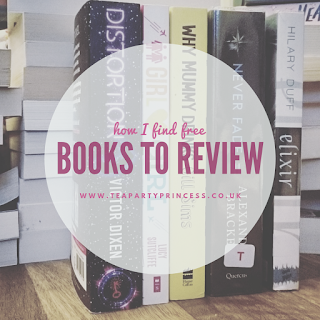 And here are some tips for finding books to review when you have no money. Start off with the books you already own. Read them. Review them. Take pretty pictures. Shout to the world about those books that you already have, that you obviously thought good enough to buy in the first place. Think of how much joy and author would have when a new review of a back list book pops up. Reread an old favourite and gush about it, share your existing passion. Hit up the library (if you have one). I'm a member of my local library (physical books) and an online library (ebooks and audiobooks). Libraries are not only excellent resources of books, but using them supports authors through things like PLR, which compensates authors for their books being available in libraries. You can often also join multiple libraries. I am a member of over five different library services and I use them all as they have different books in their catalogues. Check Amazon for freebies. There are so many free books on Amazon - some of them are always free, usually the first book in a series or a novella, and some of them are free as part of a promotion. I tend to check around once a week just in case. I have found some absolute gems, books that have gone on to become my favourites. And don't forget that a lot of classics are free as their copyright has expired, and are available through things like Project Gutenberg (which is how I read the Sherlock Holmes books). I used to get the majority of my review copies on Goodreads Giveaways, but now they're US only (boo) and I have to use other sources. Sign up for publisher newsletters, make sure you're following publishers across social media. And keep an eye on other blogs! Fellow bloggers are extremely generous and run lots of awesome giveaways. Every week I read the samples on Readers First and leave my First Impressions - even if I don't enter the draw for that book I can still earn points, and then use the points I earn to claim a book I really want at a later date. This is how I got my hands on The Island by MA Bennett. What are your top tips for getting your hands on books? Today I am joining in with Steph from A Little But A Lot's Six for Sunday! Today's prompt is favourite series or trilogies, and I loved thinking back on series I've loved, because there are a lot. It was hard to narrow it down to just six! Oh man, this series. It's a favourite and I reread it often, my ultimate comfort books. I love how each of the characters are so different and how their stories come together. This whole series is INCREDIBLE, honestly amazing. I'd recommend it to everyone. I love the alternate world, the exploration of control and power and family. And magic! And EEEK. These. Books. Like... Wow. I have already read both books twice and I'm eagerly awaiting the third. The world is incredible, and I love how on the surface it's people vs dinosaurs, but as you delve deeper you realise it's far more than that. This series is gorgeously written, it's such a rich story. I love Mary's journey and I was so sad to see it end, as I want to read about her life forever. I recommend these books to so many people it's starting to get a bit ridiculous. The series is amazing, a wonderful look at the dark side of control and power (oh yeah, there's a theme to this list). I may only have just finished the second book, but I love this series. It's unique and fun and pure escapism, and perfect for fans of Love Island. I'm not good at this friendship thing. I find it hard to make friends and harder to keep them. It's like when I popped into being, something was missing. Something that made making friends - and keeping them - easier for other people and near impossible for me. I feel like a large part of it is down to me. I'm awkward around people, I'm quiet, I can sometimes put on a facade and appear confident and outgoing, but I definitely am not. Unless I push myself I am cripplingly quiet and easily overwhelmed. I'm rather like a wilting wallflower. When I do make friends, it's like I change. Once I'm comfortable around someone I love to talk to them. There's so much chatter and back and forth, sharing your life with friends is an incredible thing. Then I fall back into my old ways and hang back, and listen rather than talk. And then the drifting starts and the silence and it's quiet again and I realise that I got so comfortable that I forgot to work at it. But yeah, friendship is hard. But I love my friends so much, and I just have to remind myself to keep working it it. 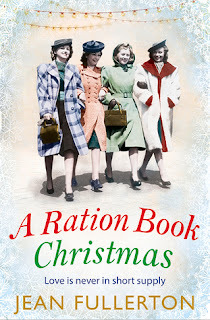 This was such a sweet Christmassy read for all that it's set during the devastation of the Blitz. A Ration Book Chrismas gives you the warm fuzzies with its message of togetherness inspire of circumstances. For Jo, the youngest of the Brogan sisters and newly qualified as an ambulance driver, the freedom of her job also offers the chance to see the love of her life, Tommy Sweete, more often. But Tommy's dangerous reputation means he's disapproved of by her family, and any chance of happiness seems very far away. As the Blitz devastates their homes and neighbourhood, can their love survive the horrors of war-time London? 5 Words: Family, war, love, misunderstanding, heart-warming. I loved Jo and her determination. She knew what she wanted (for the most part) and she was ready to fight for it and do what she needed to do to get it. She strives to exceed everyone's expectations of her, and it's so inspiring. This book really explores family dynamics. You had the Brogans, close and caring and always looking out for each other, even if they didn't necessarily believe in each other's actions, and held their own little resentments. Then you had the Sweetes, and the control and toxicity and manipulation. I loved seeing both families side by side, delving in to the complications of families. A Ration Book Christmas really grabs hold of the Keep Calm And Carry On mentality of the war, and the characters really display such steadfastness against the despair of the reality of war. I also loved how there were a few ration book recipes in the back of the book, although the thought of offal makes me gag so I won't be trying the heart one! This is the perfect read for the run up to Christmas. Do you read festive books?